Bay Street gets it on climate change so why doesn’t Doug Ford? 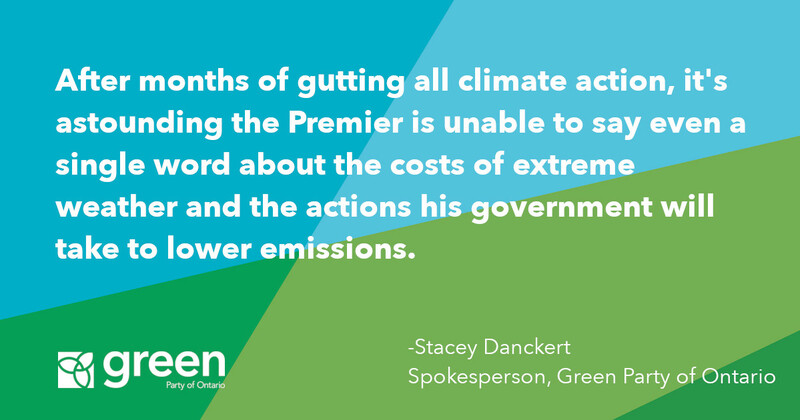 QUEEN’S PARK — Evidently Doug Ford did not get into the Earth Day spirit over the weekend, announcing today that his party would scrap carbon pricing. 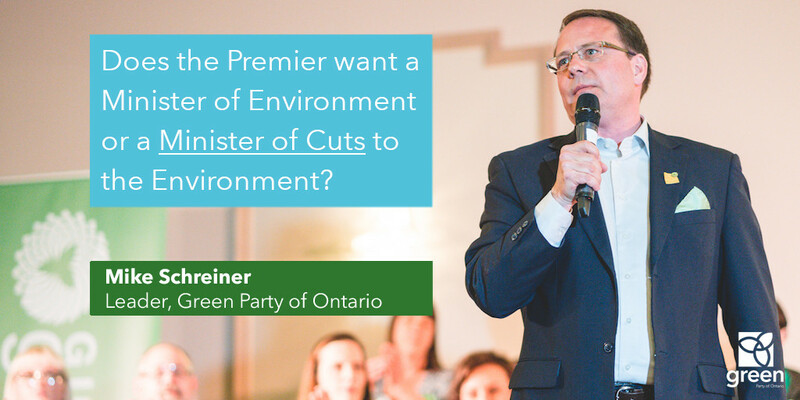 This is a reckless plan that will bring Ontario back to a time when the air was polluted without penalty and asthma rates soared. Ironically, this comes on the heels of Europe’s largest bank, HSBC, joining a growing list of investors who will no longer invest in coal, oil sands and Arctic drilling projects. “Ford’s soundbite policies will hurt Ontario’s economy. 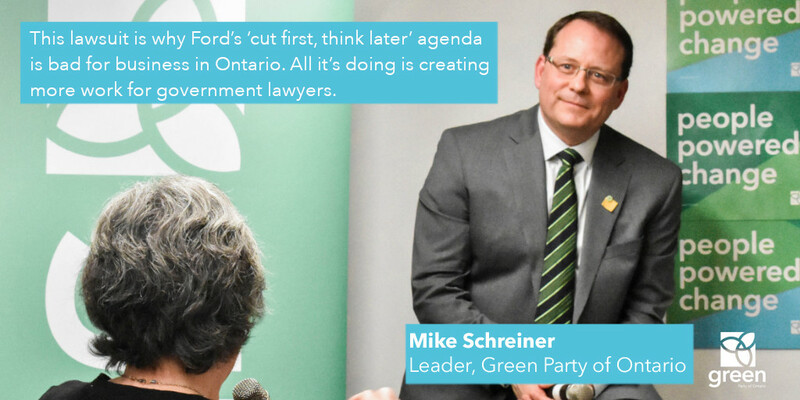 While HSBC and the financial community move money from dirty fossil fuel projects to cleantech, Ford will drive Ontario backwards,” said Green Party Leader Mike Schreiner. The writing is on the wall. Either we get in front of the transition to a cleaner economy or we risk losing billions in losses from climate change damage. Preliminary estimates from the National Oceanic and Atmospheric Administration are that natural disasters last year caused over $300 billion in losses globally, making 2017 the costliest year on record. Bay Street gets it. Why doesn’t Doug Ford? “Investors are quickly starting to recognize that ignoring climate change will bring markets to their knees. 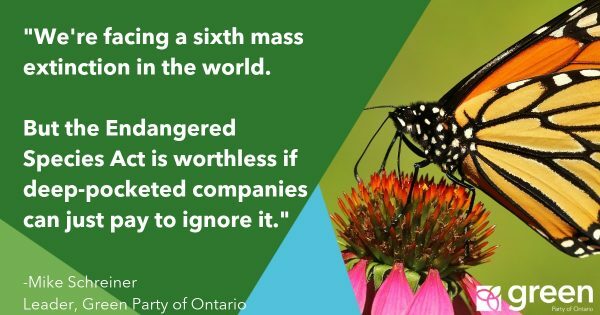 It’s time for governments to follow suit rather than continuing to prop up dying industries,” said Schreiner. A consensus has emerged that putting a price on carbon pollution is a matter of necessity. And globally the cleantech industry is worth over $1 trillion and growing. Yet these realities seem to elude Mr. Ford, who foolishly believes he can resist the federal mandate of a carbon price in 2019. We can bury our heads in the sand or we can leap into the future now and create good jobs in the new economy. “We have two status quo parties barely dipping their toes into the new economy. And we have one status quo party denying the new economy even exists,” said Schreiner. When will cuts to the environment end?